The Korean artist Do Ho Suh had the most popular contemporary art exhibition in the world last year, according to Art’s Most Popular, our survey of museum visitor figures. An average of 7,853 people a day visited Do Ho Suh: Almost Home, a free show of his Instagram-friendly Hub installations at the Smithsonian American Art Museum in Washington, DC, from 16 March to 5 August 2018. The colourful, life-sized recreations of the artist’s past homes in delicate fabric—which visitors are invited to walk through—drew more than 1.1 million people in total. This was only outstripped by a pair of blockbusters at the Metropolitan Museum of Art in New York, Heavenly Bodies: Fashion and the Catholic Imagination (10,919 visitors a day) and Michelangelo: Divine Draftsman and Designer (7,893). 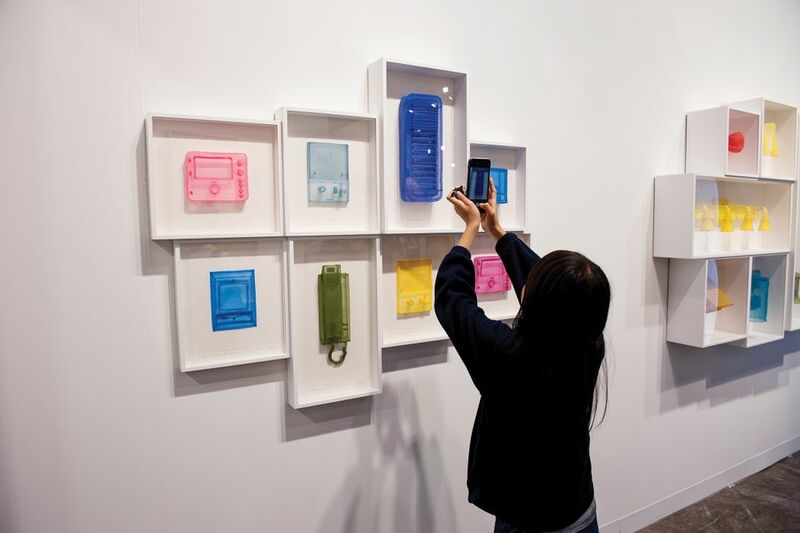 On a smaller scale, Suh’s sculpture editions of household objects—wall sockets, a doorknob, intercoms and even a fridge—are on offer with Victoria Miro and Lehmann Maupin at Art Basel.